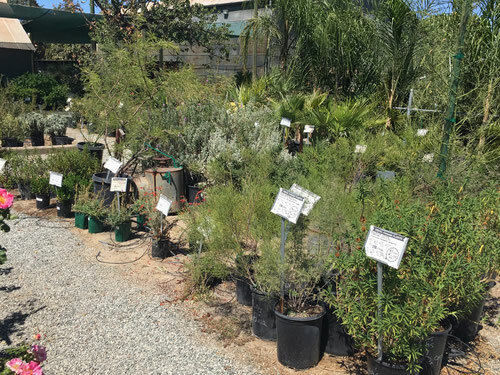 We carry a wide variety of low water use plants that do well in our area. 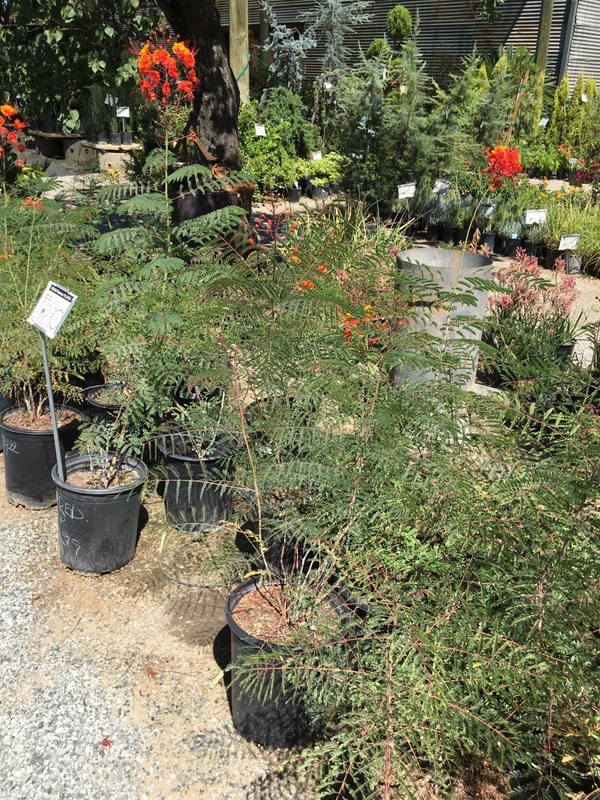 There are many types of plants available, from small plants like groundcover, to larger shrubs and grasses, and even trees. 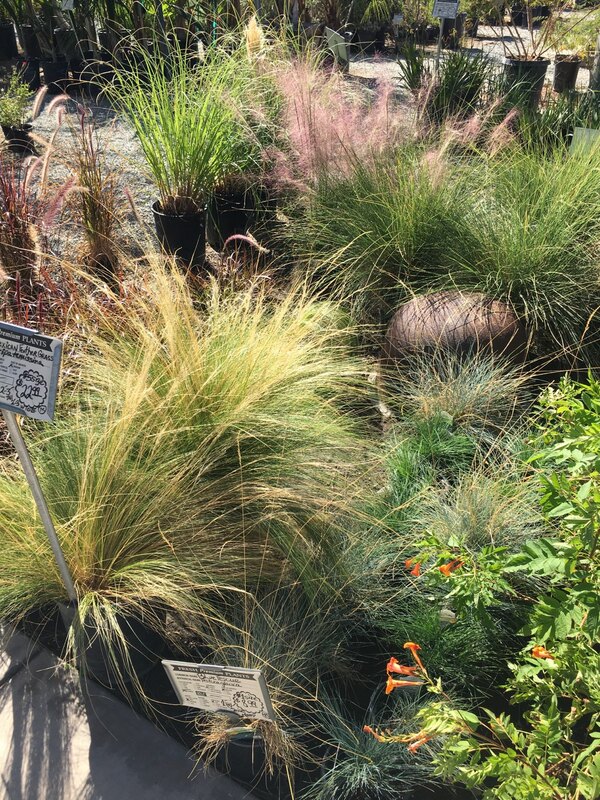 Below is a list of some of the different types of low water plants that we recommend. 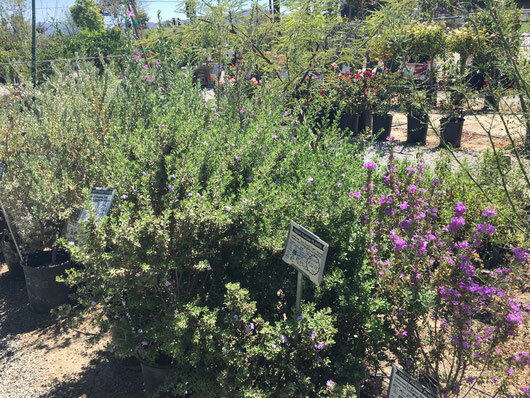 A list of plants that we carry that are low water use. 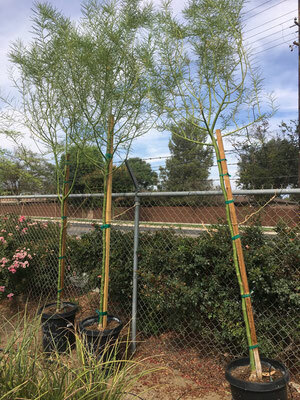 Some good drought tolerant shrubs that we recommend are Texas Ranger (pictured at the top of the page), Red Bird of Paradise (pictured below), and Mexican Bush Sage (pictured below). These are plants we normally carry, but please call to check what we have in stock currently. There are many ornamental grasses that do well with little water once established. 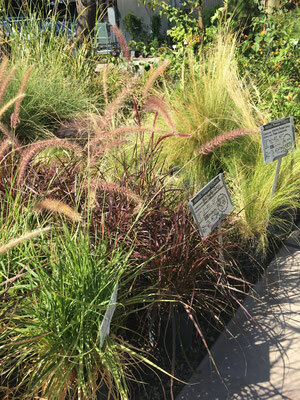 Some good varieties are Mexican Feather Grass, Red Fountain Grass, and Pink Muhly Grass. These are taller type grasses, but there is also Blue Fescue, a great grass that only gets about one foot high. 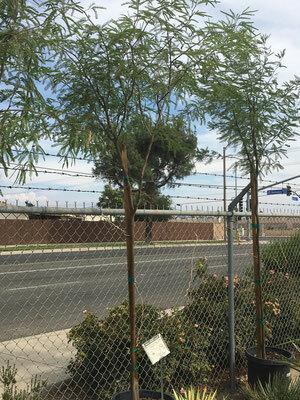 Two excellent drought tolerant trees are Chilean Mesquite Tree and Desert Museum Palo Verde. Chilean Mesquites reach about 30 feet tall and wide, and are fairly fast growing. Desert Museum Palo Verde, known for it's striking bright green trunk, reaches about 20 feet tall and wide over time. 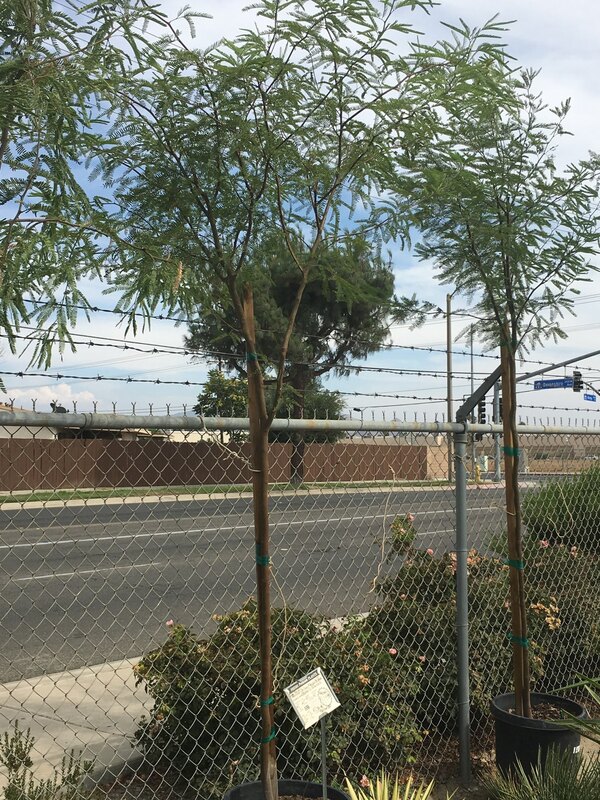 These trees are best not planted in lawns. 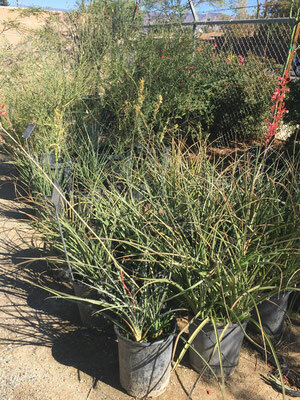 Drought tolerant plants, although low water once established, do require regular water when they are first planted. 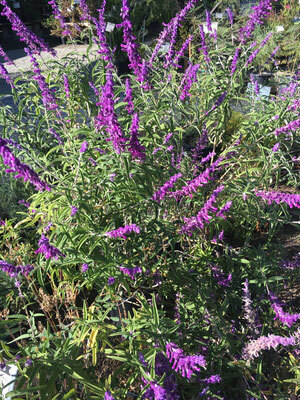 Below is a general care guide that applies to most drought tolerant plants. Please call us with any further questions. A general guide to planting and caring for low water use plants. 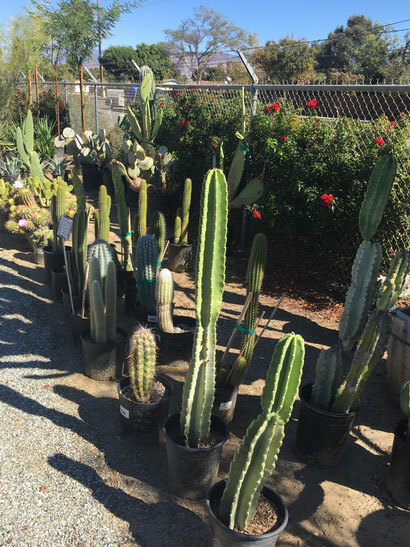 We carry a variety of different cactus, as well as agaves and yuccas. They're all extremely low water use, and hardy in our area. They can be planted in full sun. It's a good idea to devote an area to cactus where you don't mix in other plants with greater water needs. The reason for this is if you water cactus more than needed, you can rot their roots and kill them eventually. Typically, planted in the ground and once they're established, cactus only require water once every 2 weeks or so in the summer. During winter do not give them any supplemental water. Come in and ask us for suggestions on the right cactus to suit your needs. Yuccas and agaves need water about once a week during summer, and less throughout the cooler seasons. 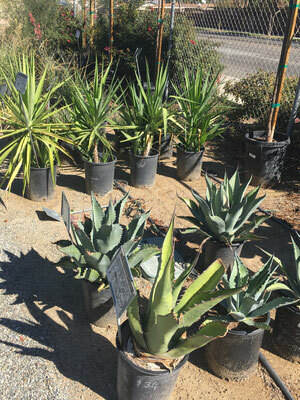 A good variety of agave is the Century Plant, which gets about 6 ft. tall and 4 ft. wide. 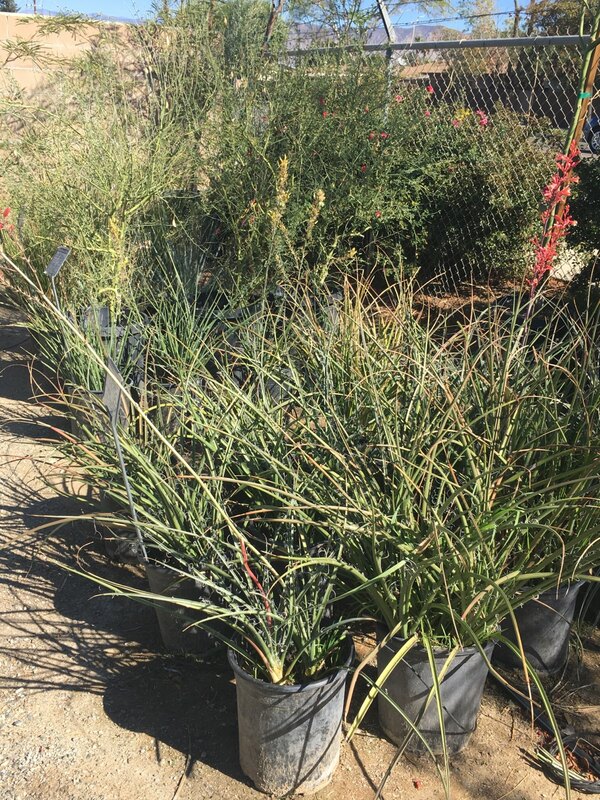 As far as yuccas, we suggest the Red Yucca, pictured below. 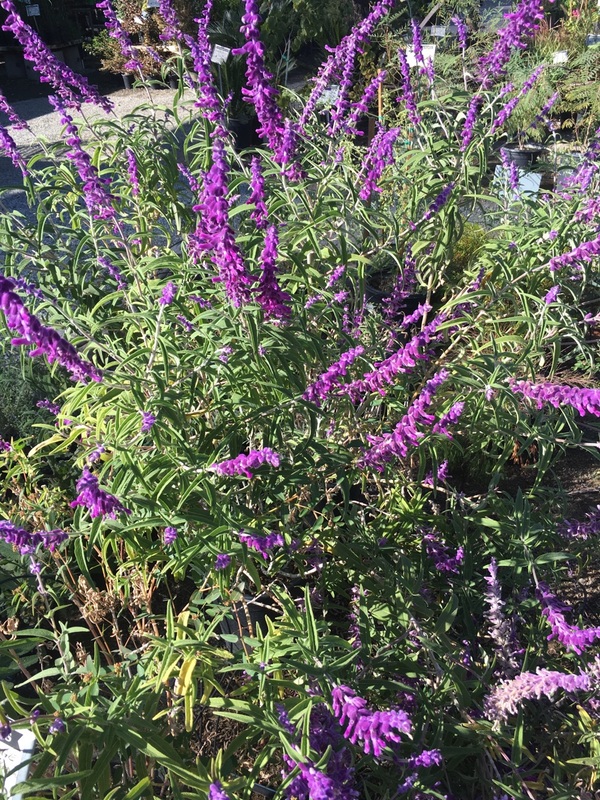 It gets about 3-4 feet tall and wide, and produces red flowers in spring and fall.